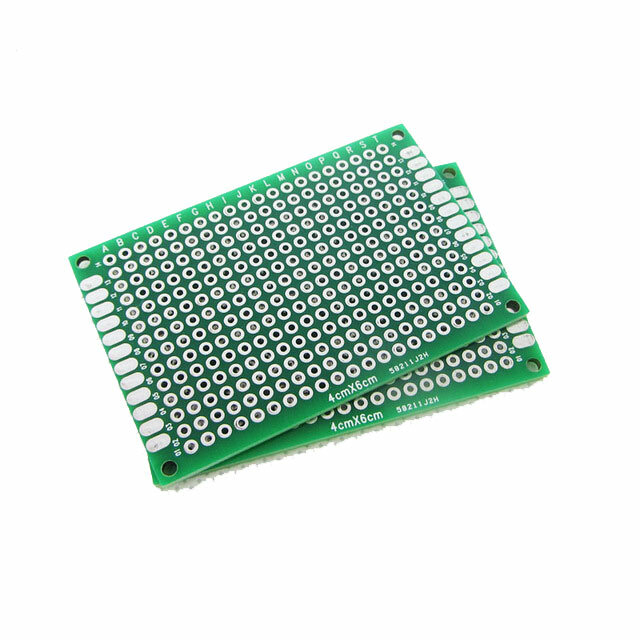 This hand little double-sided copper prototype perforated circuit board takes your project a notch higher above the standard breadboard. This hand little double-sided copper prototype perforated circuit board takes your project a notch higher above the standard breadboard. It gives your project a more professional feel compared to the standard brown perforated circuit board. This is a board with fine finish. Although it may seem like just a board I have to give it a five out of five for value for money.